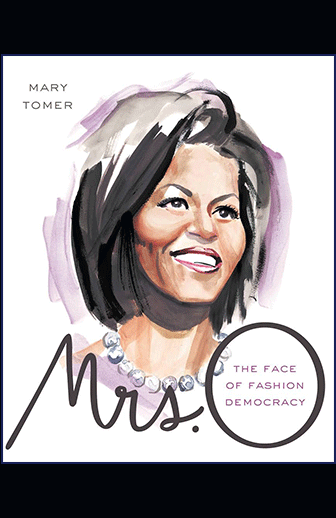 "Tomer's is at least the third fashion-related book on the first lady, and so far, it's the most comprehensive, tracing Obama's style from that frigid day in Springfield, Ill., when her husband announced his candidacy to the first lady's springtime tour of Europe." Celebrated for her style and substance, Michelle Obama has transformed the role of first lady and become a 21st century icon, attracting attention from all over the world. The qualities so admired in her - intelligence, strength and charisma - radiate through her personal style, which has united accessibility with high-wattage glamour. The clothes, like the woman, feel both familiar and inspirational. Readily mixing high-end labels with more affordable brands, with a focus on craftsmanship and artistry, Mrs. O has elevated the notion of real value and ushered in a new era of "fashion democracy". Building on the success of Mrs-O.org - the Web site that chronicles Michelle Obama's style - MRS. O: THE FACE OF FASHION DEMOCRACY takes a closer look at America's modern style icon, featuring more than 120 photographs of the first lady and delving into the back story of her clothes and accessories. It also goes behind the scenes with interviews from her favorite designers, including Isabel Toledo, Jason Wu, Michael Kors, Maria Pinto and Isaac Mizrahi. Opening with a brief overview of Michelle Obama's early years, the book goes on to provide rarely seen photos from behind-the-scenes on the presidential primary trail through the 2008 Democratic National Convention, the monumental events of election night, the inauguration and early chapters of life in the White House. The final chapter hears the opinions of Mrs. O's adoring fans - giving the last word to the people. Original photographs of Michelle Obama's most iconic looks, along with commentary from fashion experts, top off this tactile visual feast. Woven together with sketches and illustration inspired by the first lady, the book reveals the story of a new era of American fashion. MARY TOMER is the founder and contributing editor of Mrs-O.org. In the summer of 2008, captivated by Michelle Obama's arrival on the national stage, Mary realized the future first lady had the makings of a style icon - the genesis of Mrs-O.org. The site launched in September 2008, and has quickly grown to attract more than 3 million site visits, with traffic from 221 countries and territories. Mary has appeared on the Today Show, MSNBC and BBC Radio, speaking as an authority on the first lady's style. While not blogging, Mary works in advertising for Bartle Bogle Hegarty in New York. She is a graduate of Boston College, and native of Columbus, Ohio.